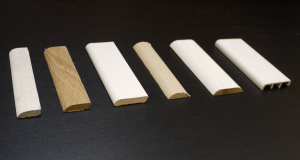 Our Slim-line Equal Leg system is our slimmest secondary glazing system, and unlike our Luxury Subframe System it has no need for a wooden subframe. This system includes a special high performance insulating foam for improved acoustic and thermal properties, which not only reduces draughts and noise - but actually makes this new system even easier and quicker to fit. The outerframe has either a counter sunk fixing grove for hiding the screws when face fixed or a flange or lip that sticks out the back for reveal fixing. It is an all aluminium even leg system and is supplied with cover trims to hide fixing holes and provide a nice clean finish. 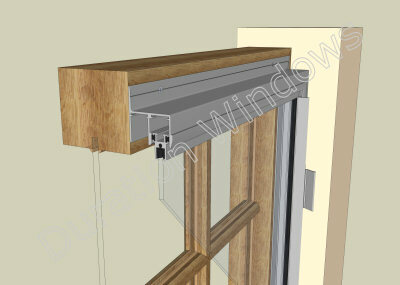 Due to its aesthetically pleasing finish this system is highly suitable for domestic applications. TM0 - is 17mm wide & has one curved edge. TM1 - is 22mm wide & has one curved edge. TM2 - is 29mm wide & has one curved edge. TM3 - is 22mm wide & has two curved edges. TM4 - is 34mm wide & has two curved edges. TM5 - is 37mm wide & has one curved edge.